Launched in 2015, Viking Bingo casino owned and operated by Jumpman Gaming Ltd. It went through a re-design in 2019, bringing it more in line with existing casino layouts. The initial screen is dominated by the welcome promotion and a scrolling list of biggest winners. Moving your cursor, you will discover that the screen moves along with it. Add to that some moving waves, and a ship that bobs back and forth, and you have some impressive visuals! The casino has two licenses, allowing it to cater to multiple gamblers. British players fall under the jurisdiction of the United Kingdom Gambling Commission. Meanwhile, all non-British players will have to answer to the Alderney Gambling Control Commission. The website promises to implement numerous measures to protect user data. With a name like Viking Bingo, we expected a bigger focus on bingo titles. There is an acceptable offering of bingo games, and two bonuses made specifically for bingo. At the same time, slots dominate the selection, and their promotions take priority. It is difficult to believe this casino is as bingo orientated as it might have you believe because of that. You can review all available promotions on a special page relegated to bonuses and their descriptions. If you are a new gambler, you get a good welcome bonus and a special cashback just for you. Existing players get the Happy Hours promotion and a VIP scheme. VIPs get some extra goodies, including a daily cashback that increases in percentage the more you deposit. 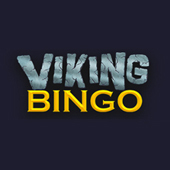 Viking Bingo casino has a total of 635 available games on their platform. However, it can be quite difficult to find the type of title you enjoy playing. Sadly, this operator leaves many things to be desired on that front. The existing filter system does some incredibly rudimentary stuff, but if you want only table games, you cannot choose that option. We do like the large selection of slots. That being said, there are some issues we would like to see fixed. The biggest of them is the absence of any demo versions. This forces you to spend money immediately for a game you may not like, or it forces you off-site to try it out. The filter list could also be expanded to sort by developer and the type of slot. As it stands right now, the variety of available games is little more than clutter because we cannot find what we want. Which is a shame, because you have strong software providers available at Viking Bingo. Names like Microgaming & NetEnt! A total of 42 available jackpot titles can be found at this operator. The vast majority of them are existing slots with an added jackpot. However, there are some unique experiences to be found, though they are few and far between. Table games are also next to non-existent on the platform. Viking Bingo does not offer any baccarat or poker titles. Blackjack and roulette fare only slightly better. There is just one blackjack game available, and two European roulette titles. Meanwhile, there are no live table games at all. So if you fancy going against real players with cards, this casino is not for you. We already mentioned this, but we were hoping that Viking Bingo would have a little more bingo to it. The platform supports only five bingo games, and two lotto titles. Not that much in terms of variety, especially since two bingo games are only played at certain time periods. Deposits can be made with Visa, MasterCard and Maestro cards, Paysafe cards, Pay by Mobile and Paypal. The selection of payment methods is far more limited compared to its competitors. Gamblers cannot withdraw any money if they have added a new payment method within 48 hours. The casino also prevents you from leaving straight away by preventing withdrawals for 48 hours from your first deposit. Players who made a deposit can convert a maximum of £250 into real money. All bonus cash above this cap is deleted after wagering requirements are met. Viking Bingo is very strict about identity verification, demanding it upon your first withdrawal. All withdrawals are also subject to a 72 hour pending period before they start being processed. The casino’s T&C states that payments can take between 7-10 working days to be processed. Due to UKGC regulations, all gambler balances are kept on a separate bank account. This account only serves to hold player finances, and the casino does not have access to it. This money is not protected should Viking Bingo become insolvent. As we already mentioned, the operator has dual licenses: one in Britain, and one in Alderney. The United Kingdom Gambling Commission is one of the most respected in the business, and only applies to British players. All other countries follow the Alderney Gambling Control Commission’s regulations while playing at Viking Bingo. The casino promises to keep all player data secure using encryption, firewalls and access control policies. Conducted third party security audits find the operator and its parent company to be compliant with ISO/IEC 27001:2013 standards. If you encounter any problems or are uncertain on some topics, you can contact Viking Bingo’s support staff. They are available via e-mail and live chat, and can also be reached via Facebook messenger. Incredibly useful if the website itself is down! The operator went out of their way to create a useful FAQ, offering solutions to a wide number of questions. These are mostly informative, so if you do encounter any bugs or glitches, you will have to contact staff. At the time of writing this review, Viking Bingo does not have any social media presence. Considering this casino has been around from 2015, its numerous faults become that much more glaring. It is not without its upsides. There is a solid number of available slots for players to enjoy, and ones by big software providers to boot! It boasts impressive licenses, especially for British players. And finally, the visual on the start screen is rather fun to look at! But the upsides simply do not do enough to control the downsides. Table games and live casino titles are on life-support at this point. Viking Bingo should either remove them entirely, or add more games from these genres. Improving the filter to make it easier to find what slots you want to play is quite important, too. One more thing we are quite annoyed by are the long pending and processing wait times. Those should be brought down a lot more, because the best casinos nowadays will complete it all in two-three days. The pending period especially reeks of hope that you will cancel it early and spend the money. From what reviews we have done, the Jumpman Group seems to be average operators, at best. Provided they can fix our problems, we will be much more happy to start betting at their casinos. But as it stands right now? You have better options.